All homes currently listed for sale in the zip code 78130 as of 04/25/2019 are shown below. You can change the search criteria at any time by pressing the 'Change Search' button below. 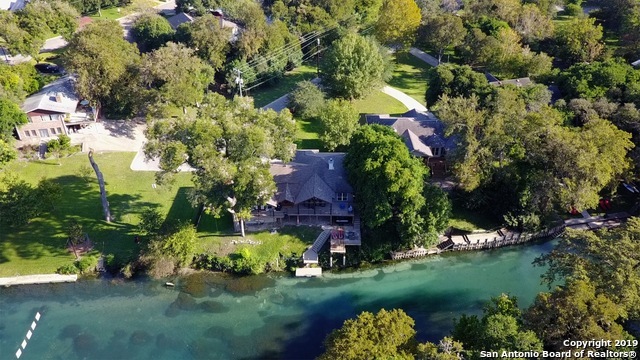 "Comal River Waterfront!2 Homes for the price of 1!Upstairs is the main home which is 3/2.5 & bottom level is 2/1 w/separate private entry.Main home has hardwood floors,kitchen w/Knotty Alderwood Cabinetry,Gas Stove,Sub-Zero Fridge,wine fridge & ample countertops for bar seating.Backyard is full of multi-level decks to incl. a BBQ area,sitting area, fishing deck, covd area & a hot tub in another.Check the drone video- https://drive.google.com/drive/folders/0B5JlfBlTrp0jQ0xzYXJxQzZJbE0?usp=sharin"
"High Quality Double Diamond Custom Homes 1 Story on Acre Corner Lot! *Professional-Grade Dacor Appliances(Gas Cooktop, Built-in Double Oven Plus Refrigerator)*Gorgeous Wood Floors In Foyer, Great Room, Kitchen, Dining, Master, Flex & Game Room*Spray Foam Insulation(Complete Envelope)*16+ SEER HVAC With Media Filtration*9' Custom Iron Front Door Unit*2 Tankless Water Heaters*8' Solid Core Interior Doors & Barn Doors*12'x8' Pella ProLine Quad Sliding Door*24 Guage Striated Metal Roof*Custom Cabinet"
"Guadalupe waterfront at your back door. Toob, swim, or relax on the waterfront patio while your cares float away. Room for entertaining family & friends in this spacious open floor plan with original flooring. Numerous windows look out on the flowing river shaded by towering trees. 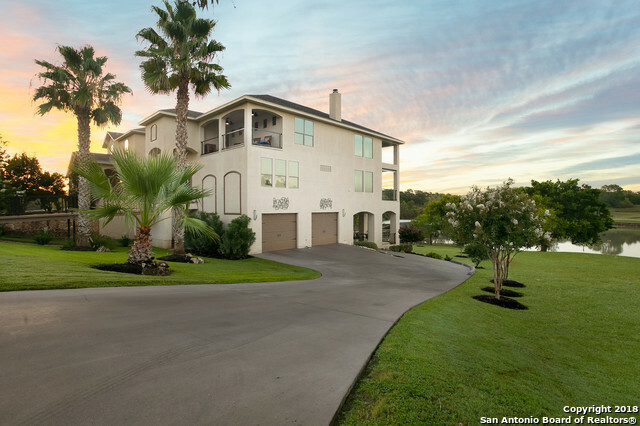 Neighhorhood access to both the Guadalupe and Comal rivers. Walk to downtown New Braunfels events. Too many upgrades to list, call listing agent for details." "Lake McQueeney Waterfront Home in the Bandit Golf Course. 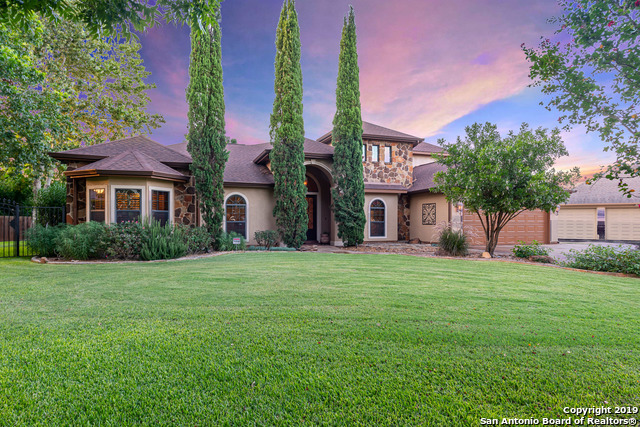 Captivating views of Bandit Bay, Golf Course & Lake McQueeney all around in this 3 Bedroom, 2 1/2 Bath. 2901 SqFt. Features Granite Kitchen with Breakfast Bar, Stainless Steel appliances, and Custom White Cabinets. Dining Room. Fireplace in Great Room. Master Bed down, with luxurious Bath. Gameroom upstairs along with secondary bedrooms. Elevator. W/D connections 1 up & 1 down. Multi Patio and Balconies for entertaining. 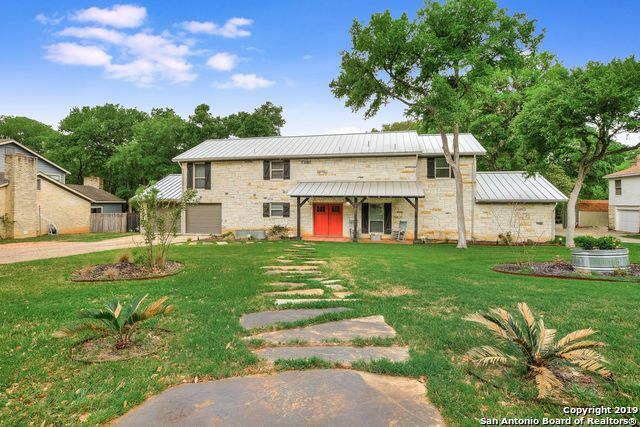 Boathouse & elect"
"Enjoy sights and sounds of Gruene from this spacious 4BR, 4.5BA property with 3 car garage. Guest suite above garage. Features .91 acres of tree covered grounds in sought after Cypress Rapids. Within earshot of legendary Gruene Hall. Hear bands play in distance and see Gruene water tower from front yard. 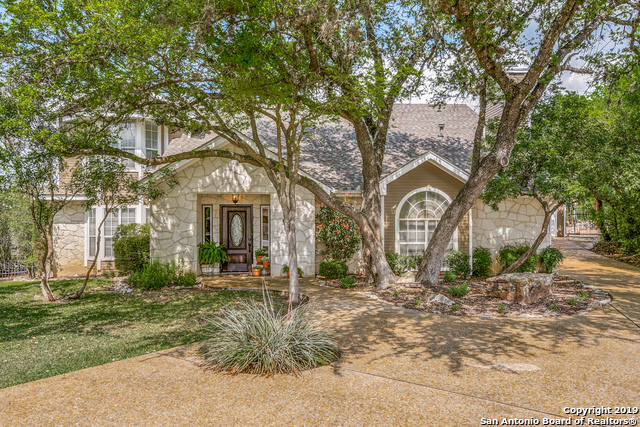 On private cul-de-sac with mature oak trees and backyard playground oasis. Large bedrooms with private baths. 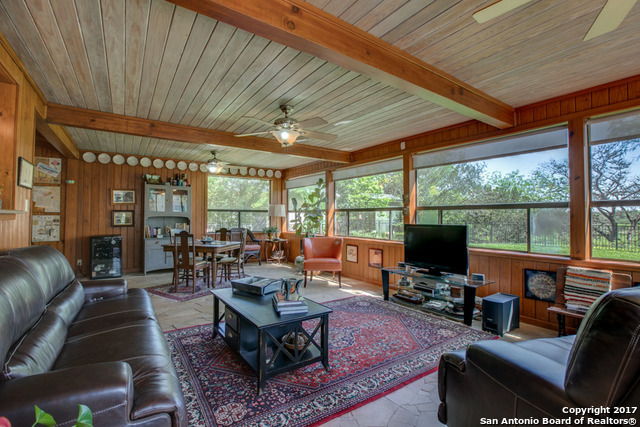 New quartz kitchen counters and large deck overlooking Hill Country. Hoffman Lane El"
"Impeccable traditional home located in desirable gated community w/ private access to Lake Dunlap. Truly unwind w/wide open living, made to accommodate large gatherings, & flr to ceiling windows allowing natures beauty to flow seamlessly indoors. A spacious patio extends your comfort from inside to out, w/ expansive views of the lush landscape & fenced pool. 2car garage w/circle drive. Catch fish off the dock, or take your toys out from your boat slip to enjoy what this outstanding lake has to o"
"Hidden gem on The Hill situated on over 1 acre! Follow the private wooded drive to this charming home. 3 bedrooms / 3 bathrooms with a basement that is perfect for an office or game room. Features include: 2 living areas, large stone fireplace, sunken living room, stone wall in formal dining, high ceilings, comfortable split floor plan, over sized garage and deck off master bedroom. Relax on the back deck with family and friends and enjoy the privacy of the sprawling back yard." 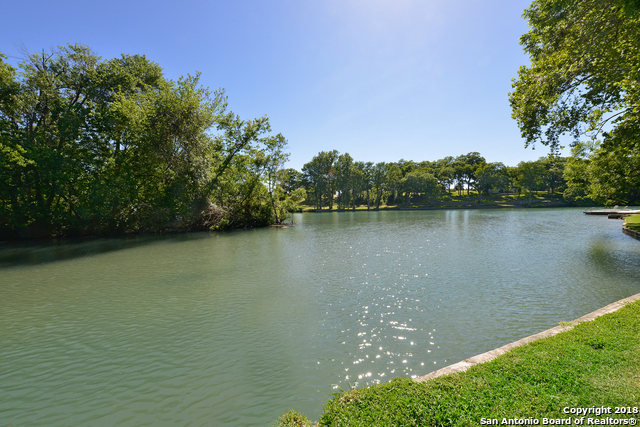 "THE DREAM IN GRUENE WITH PRIVATE RIVER PARK ACCESS! 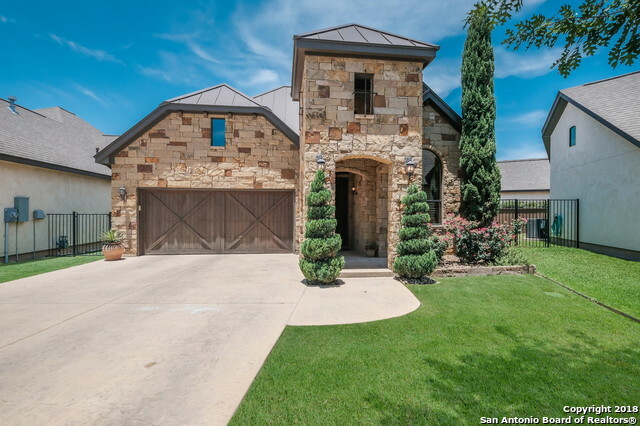 Live in Gruene Leaf, the cleanest turn key custom built home you will ever view. Beautifully landscaped this entertainers dream with an amazing kitchen will satisfy even the most discriminating chef. Built in storage without compare, including all THERMADOR appliances including a warming drawer, steam oven, drawer microwave, induction top, dishwasher, built in refrigerator and hood vent. 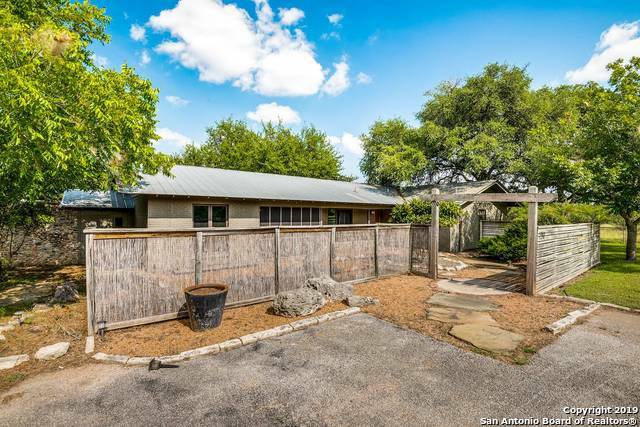 2 On-suites, owner will sell furniture, list is at the ho"
"New Braunfels is full of tradition, and this home captures the essence of the town with its traditional charm and coveted location. Situated On the Hill high above Landa Park, this two-story colonial style home offers a master downstairs w/additional bedrooms, loft & bonus room up. Living spaces center around the kitchen that's made for gathering with loved ones. 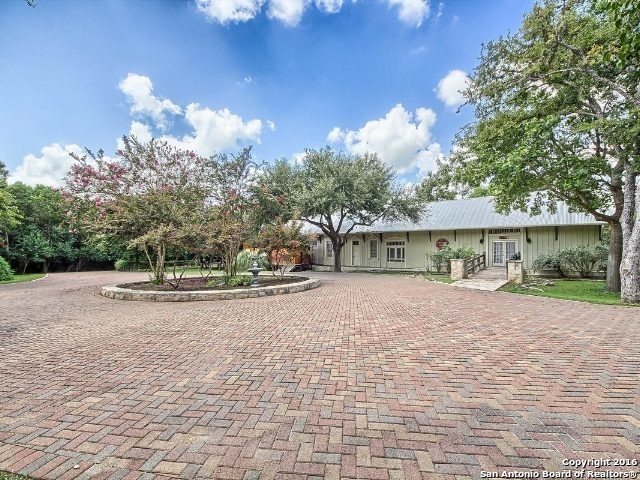 A large informal living area overlooks the expansive back patio, in ground pool & hot tub where night brings views of the lights of th"
"One of kind home situated on two prime acres located just off of TX-46 in New Braunfels, with ample room to grow. Attractive hardwood flooring, crown molding & fresh paint throughout. Open floor plan offers a delightful island kitchen, generous master retreat & spacious living/dining rooms. 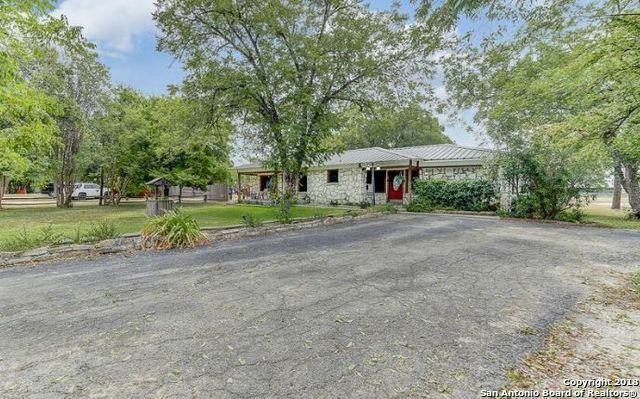 Covered front porch looks over the acreage that boasts over 30 Pecan trees and multiple Pomegranate bushes. Conveniently located to all that New Braunfels has to offer." 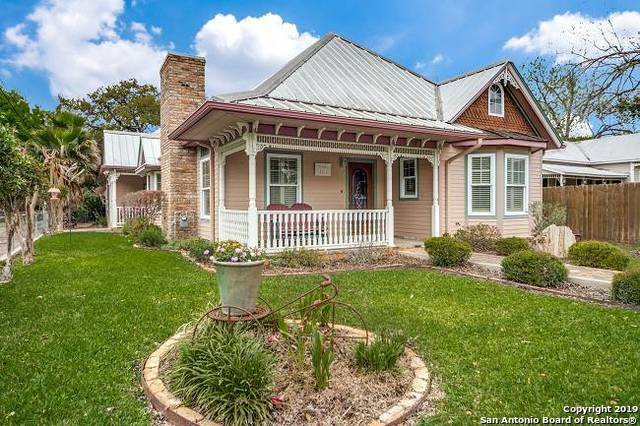 "This charming one story in popular Gruene Leaf has it all! 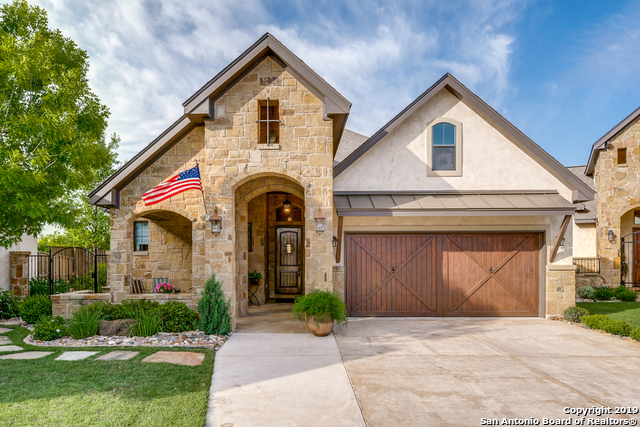 Vaulted ceilings, earthy rock and wood accents, wood floors, custom cabinets, entertainer's kitchen, high end bath finishes, indoor and outdoor fireplaces, outdoor kitchen with grill and green egg, Guadalupe river park access, and walking distance to the restaurants and entertainment in Gruene! 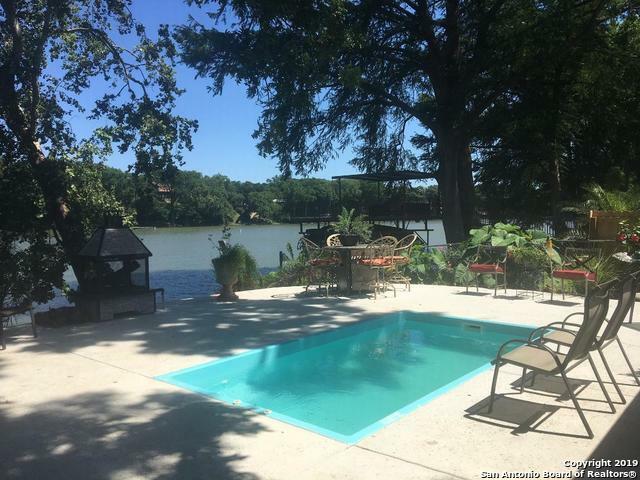 Backyard features covered patio with remote control sun shade, fireplace w television and surround sound(included), large flagstone patio and ki"
"Come home everyday to spectacular views of Lake Dunlap! This updated home boast a bright and spacious floorplan, open living space, a modern kitchen with SS appliances, a huge master bedroom with a spa-like bathroom, in-law suite, upstairs flex room that can be used as a bedroom, office or gameroom and a stunning Florida room overlooking your tree lined water front view! Call me for all the details on upgrades, improvements and features!" 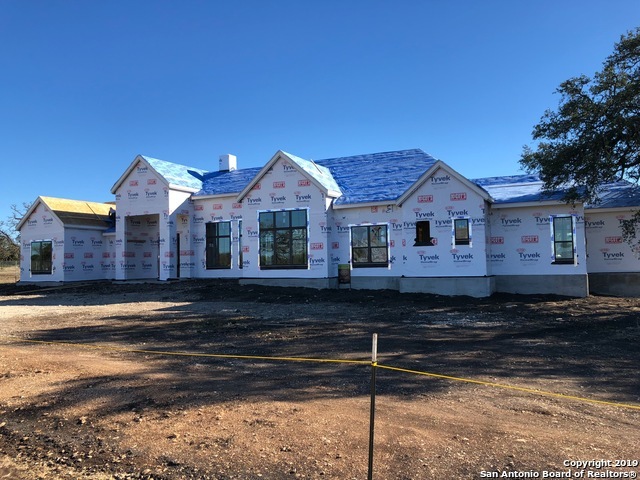 "ENTER COTTON CROSSING NEIGHBORHOOD and you are instantly aware of front porches, beautiful landscaping, alley ways, GRUENE VILLAGE with restaurants, yoga, church, shops~~all within walking distance from your home! And A STONES THROW FROM HISTORIC GRUENE. This desirable neighborhood has it all. Janet's Way is off Hanz Dr. and is a one block street that backs up to 5 acres of woods. This charming street has a small town feel and a longer drive for guest parking. 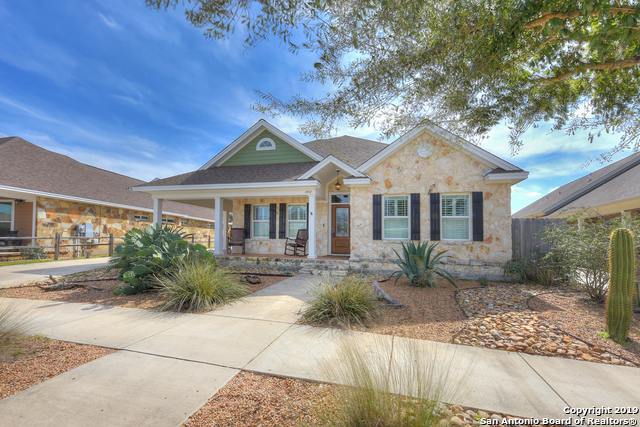 On entering the home, feel comfor"
"Vintage Inspired Cottage in Comal Town! Endearing architectural features with plenty of gingerbread, antique pressed tin & bead-board ceilings, brick fireplace with gas logs surrounded by old world mahogany mantel circa 1800's. Charming interior with wood flooring throughout except baths & utility room/half bath have vintage black & white tile flooring. Quaint stained glass windows in perfect locations. Island kitchen with farm sink, bead-board cabinetry. All appliances convey. 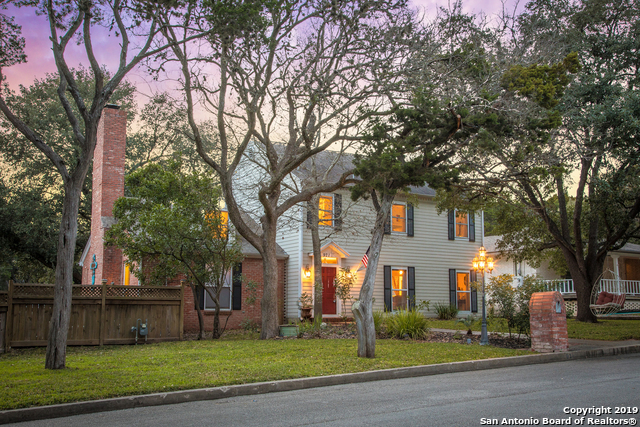 New Braunfels ISD"
"Stunning Southbank home with NEW paint inside and out! Updated decorator colors accent the beauty of this Tuscany style home. Master downstairs with luxurious bath/shower, kitchen with upgraded appliances/oversized laundry/pantry. Wander upstairs to find a suite with it's own 2 bed/1 bath and kitchenette with living area and balcony! Downstairs office/study with separate desk area, living with built in, rock fireplace and accents with surround sound.Outdoor kitchen/fountain. $5000 CCost Assistan"
"ASK US ABOUT WRAP AROUND FINANCING AVAILABLE NOW!! This stunning custom 1-story, on 1.4 level, usable acres, with NO HOA, won't leave you wanting anything! 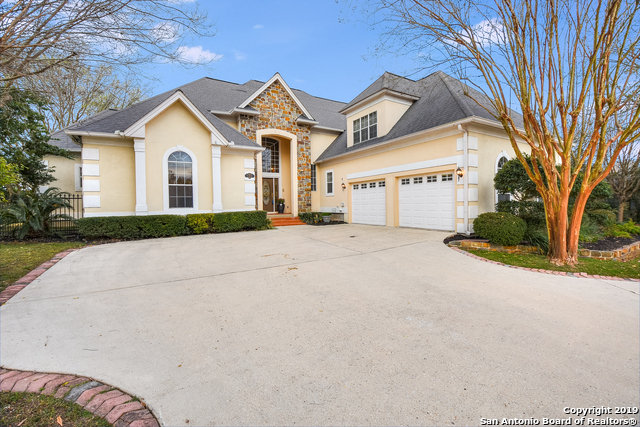 5beds/3.5 baths quietly situated 150' from Ferryboat Lane is an absolute find. Open concept interior including kitchen, dining, and living area with warm maple flooring, floor-to-ceiling, stone-faced gas fireplace, high ceilings, graceful arches, and incredible natural light. Kitchen featuring MASSIVE Quartz countertop, marble mosaic backs"